When you’re working at a business, there are quite a few things you need to keep track of. For example, the number of customers you’re bringing in on a daily basis, and whether you are reaching your goal(s) in the amount of sales. However, these are only a few things which are important in the workplace. It’s not just about increasing the number of sales or bringing in more customers, but you also need to manage your time wisely. Nowadays, too many companies are losing time (and money) for many reasons. It may be because their employees aren’t staying on task like they should, or maybe it’s because they’re having trouble trying to keep a balance between business and pleasure in the workplace. Whatever the reasons are, time is money. If you’re wasting the former, then you’re wasting the latter as well. Here are some ways to keep productivity up in the workplace. When working at a business, it’s easy to become distracted by the things around us. However, you need to be sure you keep productivity up and play time down. While chatting with others in your workspace is one thing, using social media is another. For example, let’s say you use a mobile device for reaching out to your customers. Who’s to say you won’t be tempted to browse on Facebook or Twitter now and then? There’s nothing wrong with using a mobile device for interacting with your customers, but it’s important to set a limit as well, while also keeping a balance between business and pleasure in the workplace. Focus on what needs to be accomplished, without losing time by needlessly interacting on social media. Another way to better manage your time in the business world, is by planning ahead for the future. Setting daily goals is important, but it’s another thing to ask yourself where you see your company in the next five years. You’re probably wondering how all this ties into making better use of your time. One of the reasons so many businesses have difficulty with time management is because they don’t have a game plan. That’s not to say they aren’t setting daily goals for themselves, but they may not be thinking ahead to the future of their business. For example, let’s say a company had goals in relation to where they wanted to see their business in the next five years. Not only would their daily goals reflect this, but even years down the road, they won’t be struggling or spending hours thinking of ways to move forward. After all, everything is already laid out in their business plan. Of course, though, that’s not to say business plans are foolproof. Besides, companies are always subject to change. Regardless, between thinking in the here and now, and where your company will be in the years to come, both of these will help you to better manage your time. One of the best ways to manage your time in the workplace, is by setting daily goals for yourself. Not only will it give you a clearer sense of direction, but you’ll also know what needs to be accomplished each day of the week. However, it’s important that these goals are realistic as well. After all, if you’re trying to complete too many tasks in one day, you might actually be less productive since you’ll end up overworking yourself. As an example, let’s say you had roughly thirty tasks to complete in a week. Realistically speaking, would it be better to complete ten tasks per day and finish by the middle of the week, or complete five to six tasks each day? All in all, setting daily goals helps you to manage your time more wisely, by giving you a clearer sense of direction. As for making sure your goals are realistic, you pace yourself a lot better without feeling overworked. 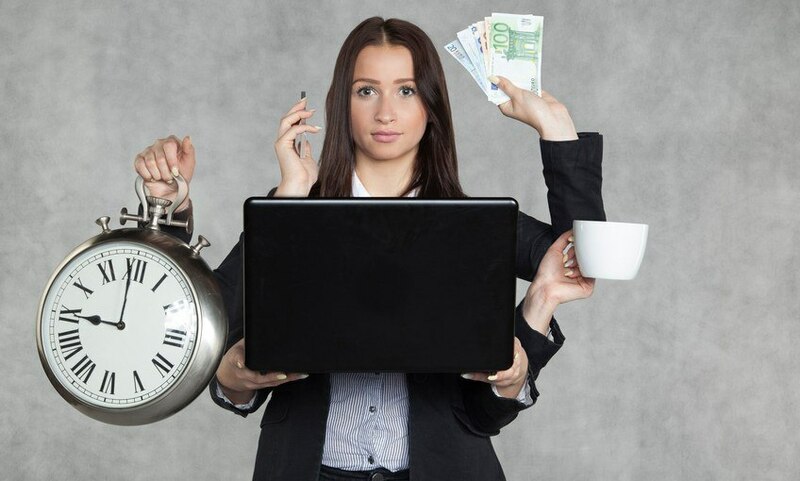 While too many companies nowadays are wasting time (and losing money), these time management strategies should lead you in the right direction. For more information, contact us today at BWS Technologies. We look forward to hearing from you.